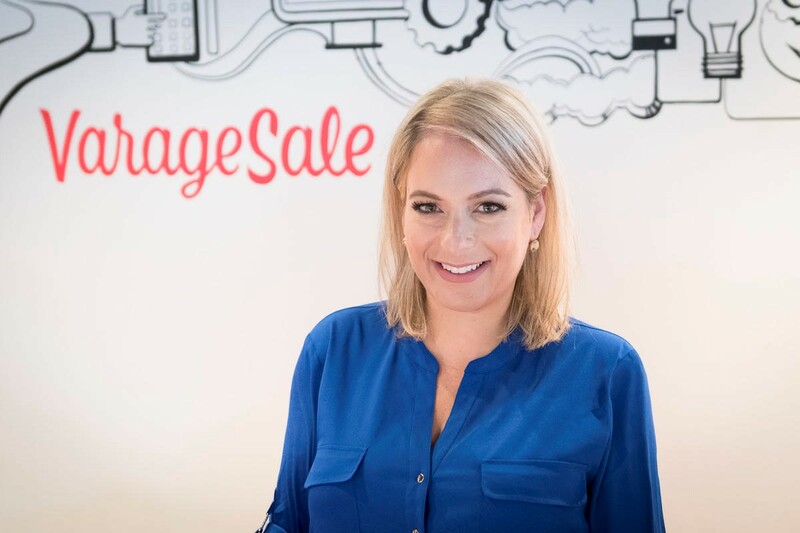 After launching VarageSale, an app for selling new and used goods, in 2012, Tami Zuckerman oversaw its meteoric rise to success until acquisition in late 2017. With $34 million in investment from organizations such as Real Ventures, iNovia, Sequoia Capital and more, VarageSale’s growth was rapid, widespread and huge. New offices and locations were just one of many challenges for Tami and the VarageSale team to tackle. Building a strong team and a culture to go along with it was one of the keys to VarageSale’s success. Tami took time to speak to Miles and discuss just some of the challenges she faced with her start-up and how she built a successful culture to help VarageSale on its path to success. What did you find were the biggest challenges to recruiting for a start-up? Speed of hiring was definitely our biggest challenge in the beginning. In the early days, the VarageSale office was located in Montreal, Quebec. While the tech talent we found was rich, finding enough of it in a smaller city like Montreal proved to be difficult. We opened a second office in Toronto where there was a larger tech hub. We eventually merged both offices together and remained in Toronto. What advice would you give to other start-ups that are expanding when it comes to recruitment? Some of our best hires came through referrals. Word of mouth is key and it doesn’t hurt to have a referral program to incentivise the existing team. In parallel, depending on the size of your business it might make sense to hire a team recruiter- a Head of Talent type of position. Not only will that person bring in people who are the right culture fit (since they understand it first hand), they’ll follow through with them with a great hiring process and follow ups to make sure everyone’s happy. As a start-up, you had the ability to decide what sort of culture you wanted at VarageSale, what made you implement the culture you did, and how did you do it? Coming from a background in Education, from the very early days, I did what I knew best and treated the office with the same respect I did the classroom. In order to succeed, children need to be taught in various ways, depending on what type of learners they were. Turns out, similarly, in order for adults to succeed, they deserved the same respect in terms of what motivates them, how they learn, what they appreciate. From the start, we personally got to know our team on a deeper level. I learned that the way to work with developers was not the same as how you’d work with designers or a marketing team or customer service for example. Those early roots and learnings remained strong in our culture as we built the team. The concept had a domino effect and everyone in the organization made sure to keep that culture going strong. And we ate lunch together. It’s something we did from day one that stuck until the day we were acquired. The bottom line here is that everyone- introverted or extroverted are social beings and need to feel part of a community. We didn’t only build a community with our product, we built a community within our team. Not long after launching, VarageSale was growing at an extraordinary rate and you needed to expand, what were the biggest challenges to maintaining company culture when expanding and how did VarageSale overcome them? Once we raised significant funding from top tier investors (Including Real Ventures, Version One Ventures, iNovia, Floodgate Ventures, Sequoia Capital and Lightspeed Ventures) it was a game changer for attracting talent. People were lining up to work with us. We had a shiny new office, lots of funding, lots of perks to support our employees and their families. The biggest challenge at that point was figuring out who to add to the team. We needed to attract mission driven people, not perk driven people. We knew that maintaining strong company culture was key to the success of our business, so taking the time to sift through everyone was essential. I’m a firm believer of hiring slow, firing fast. Sometimes you make mistakes and that’s ok, but it’s important to not allow those mistakes to linger. When hiring for new offices, what did VarageSale look for in candidates? One of the first questions I’d ask people was why they wanted to work at VarageSale? If they hadn’t researched the company, the founding story or understood our product, that was a sure red flag. We looked for people who asked about our mission, not about their title. What attracted us most was smart yet humble folks. We didn’t always look for the “A” player, but rather a team player, and people who were interested in learning and growing. Lastly, We asked about their interests outside of their field and about what other projects they’ve worked on outside of work. Getting to know all of who they were was important to our decision making process. What top three tips would you give to create a fantastic company culture? Create a culture where your people care. Enforce that care by sharing user’s stories and feedback. Come up with company values and actually enforce them. Put them on the wall. Have a horizontal approach, not a top down one. While it’s important for the founder’s vision to be prominent throughout the growth of the business, involving the team in quarterly planning, strategy sessions, sharing metrics and goals are all important pieces to making sure everyone feels involved and motivated. With that being said, it’s important to structure those meetings so that they are time effective and that the right people are in the room. Stay scrappy for as long as you can. Get a larger office or hire more people only when you’re busting from the seams, not for expected growth. Keep the team close in all ways, even in proximity. Spend less money on fancy furniture and more money on social events and professional development. Keep the communication strong, no matter how big you get – this takes constant work and iteration. On behalf of Miles, we’d like to thank Tami for taking the time to share valuable insights about her experiences.